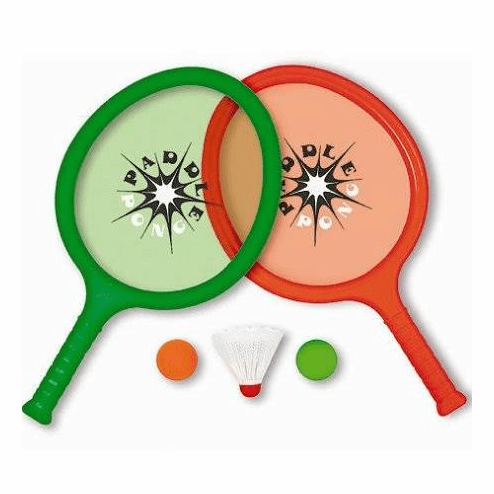 Include 2 Tambourine Style Paddles, 1 Foam Game Ball, 1 Hand Ball and 1 Birdie! If you are looking for an entertaining way to bring a sporty activity to your backyard fun, these Paddles are the perfect answer! Can be used in or outside the pool, they make a fun sound when the ball or birdie bounces off them! Measurements: 16.25" H x 9" W x 1.5" D.